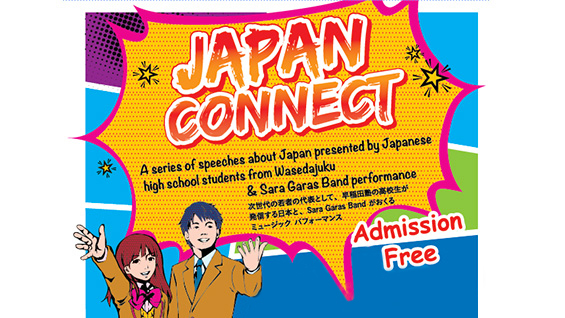 High school students from Wasedajuku, a prep school in Japan, will give presentations about their lives in a free, public event. Wasedajuku students focus on leadership and international communications. The student presentations will be followed by a performance by Sara Galas Band. Based in New York City, the multi-culturual quartet whose members hail from Italy, Japan and Guatamala will play its own original songs.